Multipurpose WordPress themes have become very popular during the past few years. We have already told you about the release of Monstroid – the newest of them. The theme was launched on July 22nd 2015, and since the date of release has been purchased more than 1000 times! Today we are excited to run a giveaway of Monstroid so that you can have a chance to get it absolutely free! Let’s take a look at some of the most prominent features of the theme. What Is Monstroid All About? We could describe each feature of Monstroid in detail, but the theme is so huge that reading it all would become boring. Instead, we simply want to point out the key features that, in our opinion, make Monstroid awesome. Collection of Child Themes. Essentially, Monstroid is not a single theme, but a combination of one big theme for any purpose, and a pack of child themes, each one designed for a specific niche. In other words, when you get Monstroid you also get a collection of other WordPress themes; for example this one, or this one. Right now there are 10 additional themes available, but each month the collection will increase by 10-15 new designs. If you buy Monstroid once, you get lifetime access to all of its child themes. Free Life-Time Support & Updates. No one would argue that support and updates are two of the most important things when it comes to choosing a WordPress theme. Monstroid developers decided to take support to a completely new level. They integrated a live support chat into your dashboard, which allows you to communicate with the support team right in your admin panel. MotoPress Page Builder Plugin. Another great thing about Monstroid is that it comes with MotoPress Page Builder. It is a premium drag-and-drop plugin, which has been known among WordPress users as a quality solution for editing pages without any coding skills. With MotoPress Page Builder Monstroid becomes a truly powerful tool for building websites. There is a large number of other features that we haven’t mentioned here, but you can always find more information on Monstroid’s official page. And last, but not least, the developers of Monstroid submitted the theme for code review to the WordPress Theme Review Team, which is a smart decision for any team that cares about the quality of their product. “I have just started my own website and have never done anything like this before. The installation was easy and having the MotoPress editor made things so much easier for me, I work better at a visual editor rather than code as i’m just starting out. Using Monstroid template and making it my own was easier than starting from nothing, I was able to customise it without too much hassle. I did find an issue that some parts weren’t responsive when looking on my mobile phone but I was able to look at a similar item and correct the problem myself. This template is great if your starting out or professional. When my business grows and I get better at customising Monstroid this will be extremely useful to grow with my online needs. “It’s all you need to get started! I’m one of the web developers who has slowly migrated from hard coding HTML pages, to use more and more WordPress. Having made quite a few templates myself, I know how much time and hard work that goes into not only a good designed site, but also one that functions well on all different devices. Templatemonster’s Monstroid package is just what is says it is, a monstrous package, with everything you need to get started. Packed with a “monstrous” amount of plugins, you can get most things done. There is even a online Chat plugin where you can get live support if you should need it – right from inside your WordPress. How Can You Win Monstroid? The rules are simple. 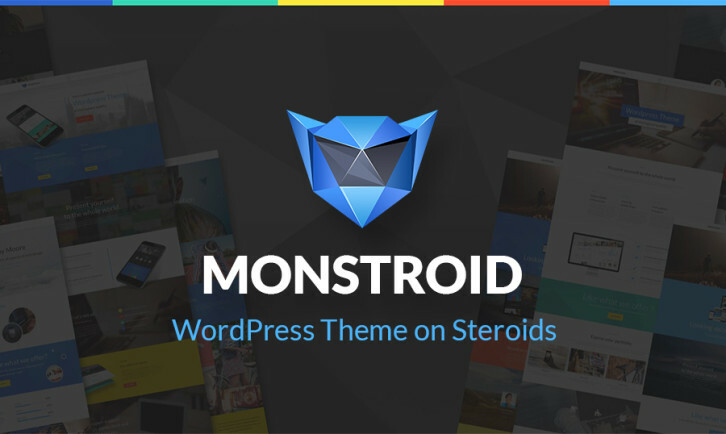 Check out the Monstroid theme and let us know in the comments to this post the main reason why you would want to win the theme (which of Monstroid features is critical for you, except for the features mentioned in this post). When the contest is over we’ll randomly pick seven winners and send them the prizes (please, don’t forget to enter your valid email address when you submit a comment to this post). The giveaway starts on August 19, 2015 and will be running though August 26, 2015, so hurry up and submit your comment promptly. Good luck! Why Did So Many Successful Startups Come Out of PayPal? I like that the theme supports WooCommerce. The demo of the store looks great. I only used X-Theme in the past as a full featured theme/builder, so my experience is kinda limited but what I really want to try in Monstroid are the responsive features and the SEO/Mobile & Google optimization. The demo so far looks amazing. Very Interesting Theme, I like it! If I win I’ll put a nice review on my sites. Since the first time it was featured in WebAppers I was interested in Monstroid. I was particularly impressed with all the beutifully crafted templates and the UI elements that come bundled with the theme such as the infograpics, the multiple sliders. It’s also been a long time I was searching for a theme that integrates perfectly WooCommerce! I really hope I’ll have the opportunity to use Monstroid for an upcoming project to play deeply with it! I want to win the theme because it is one of the most futuristic theme that I’ve seen for wordpress. And I’m not very good at designing part which this theme takes care of very nicely. Also the woo commerce integration is great feature to have. Monstroid is a big surprise! Pricing, teams, testimonials, infographics, portfolio (good looking masonry style) are all useful features i can use to create prototypes rapidly. Monstroid looks fantastic. Thanks for the introduction. I’m entering the competition because I’ve just graduated from a web dev course. Winning this theme would give me a great launchpad to offer multiple quality themes to potential clients, while I get started in this industry. keenasabean at gmail. What interests me most about Monstroid is it’s adaptability. I develop niche sites and dealing with a multitude of platforms can get tedious to say the least. With new topic specific child themes every month, it just might convince me to standardize. Hi! I read and tried the monstroid demo and now I know what I need to create the right site for my project. Really great features are included and direct support right on the dashboard! To use Monstroid – I need to be able to load plenty of demo data, so I will be deleting modules more than creating and selecting. Different websites should be available for easy implementation. Why to win this template? Would love to win it. WOuld make my life so much easier. The MotoPress Editor is so cool – combined with the Cherry Shortcodes templater is an absolute mix in Heaven. I previewed this theme when you guys ran the post on it and I was blown away. I would love to score a copy of this incredible theme. Monstroid looks surprisingly great with lots of great features to customize the look and feel of a website. I would like to win won. Monstroid seems not only simple to customize but also to mantain and upgrade, and this is the feature I appreciate most of all! I would like the ability to change up my design if I want to do so and this looks great. Monstroid will be the foundation of our future web-development projects for customers. It’s not a monster, it’s a true beauty! As a freelance web designer I don’t know what my next client will be. So Monstroid will be perfect choice for any type of web design project. Theme is responsive and lots of design layouts available. Which Monstroid feature is most critical for me? Probably the responsive design by default, to allow my site to grow and flex with any type of browser/device combo that manufacturers can throw at me. Of course many of the posted features are essential, but this one will be important to me to help my site grow over time. The wide variety of page layouts. The customization options which eases the different combinations that can be made of the monstroid features. i can think of immediate uses right away. i would love the chance to use this theme! It appears there are so many options. Perhaps this is the One theme to rule them all? /cross fingers. For me it will be the WPML support even if most themes are now supporting them, I’m curious to see if it has a great implementation of it. Monstroid is beautiful theme with plenty of features. Every web designer will like to give a try. So I am. I would like to create my own portfolio with this theme. Thanks for this excellent giveaway. Would love to win this!! Very cool. Compliments for the comprehensive array of features. Respect for the tasteful graphic choices which politely scream professional elegance! Monstroid Theme is a must have for all web-developers especially for newbies like me. It is great it does not requre coding skills and include everything needed even 50+ royalty free images. Best luck to all the winners using this theme. Monstroid has everything I could possibly need in one single theme. Many of my clients ask me for Parallax and Cherry compatible themes, this has it all and it’s customized. A critical feature, however, is the White Label Plugin!!! Love the Independent Module Structure and Static Are Builder.. this is super awesome! LOve Monstroid theme! Monstroid seems to be a very high quality theme with a lot of great features. I speak multiple languages which means I could take advantage of the multilingual support. I’m always interested in well constructed themes with great documentation, layout flexibility, and a large array of short codes and plugins. I also appreciate a theme that has all of the PSD files which makes it truly easy to brand the site as needed. I’m sure this theme would serve as the perfect starting theme for my next web project. I would be very grateful for the opportunity to use this theme on an upcoming project. Congratulations to all the winners! How do the winners get the theme? You will receive an email from TemplateMonster shortly with instruction claiming your prize. Thanks for a quick answer. Can’t wait!